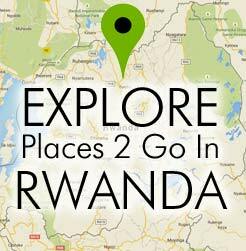 We have compiled this information for you from the Center for Disease Control (CDC) website (http://wwwnc.cdc.gov/travel/destinations/traveler/none/rwanda) for your easy reference as a traveler planning to visit Rwanda / East Africa. Yellow Fever: Health recommendation: Yellow fever is a risk in Rwanda, so CDC recommends this vaccine for all travelers who are 9 months of age or older. Country entry requirement: The government of Rwanda requires proof of yellow fever vaccination for all travelers, except infants. *Yellow Fever Update (2/28/2017): If you have been immunized once for Yellow Fever, you may have lifetime immunity. Your travel clinic physician can advise you based on your personal health profile. If you are covered for life, the clinic may update your yellow card to indicate “valid for life” as well as provide a letter of exemption to ensure that you are not immunized on site. Hepatitis A: CDC recommends this vaccine because you can get hepatitis A through contaminated food or water in Rwanda, regardless of where you are eating or staying. Typhoid: You can get typhoid through contaminated food or water in Rwanda. CDC recommends this vaccine for most travelers, especially if you are staying with friends or relatives, visiting smaller cities or rural areas, or if you are an adventurous eater. Malaria is a preventable infection that can be fatal if left untreated. Prevent infection by taking prescription antimalarial drugs and protecting yourself against mosquito bites (see below). Travelers to East Africa should take one of the following antimalarial drugs: mefloquine, doxycycline, or Malarone(tm). Your risk of malaria may be high in these countries, including cities. Eat only thoroughly cooked food or fruits and vegetables that hve been peeled. Remember: boil it, cook it, peel it, or forget it. Protect yourself from insects by remaining in well­screened areas, using repellents (applied sparingly at 4­hour intervals) and mosquito nets, and wearing long­sleeved shirts and long pants from dusk through dawn. Don’t swim in fresh water, including Lake Malawi. Salt water is usually safer. Long­sleeved shirts and long pants to wear while outside whenever possible, to prevent illnesses carried by insects (e.g., malaria, dengue, filariasis, leishmaniasis, and onchocerciasis). Insect repellent containing DEET (diethylmethyltoluamide), in 30%–35% strength for adults and 6%–10% for children. Over­the­counter antidiarrheal medicine to take if you have diarrhea.